Enjoy a mani and pedi with a strawberry lemonade sugar scrub, whip cream (lotion) and hand painted or sprinkles (designs on nails & toes) or upgrade to an cupcake mani and pedi for a bath bomb foot spa. 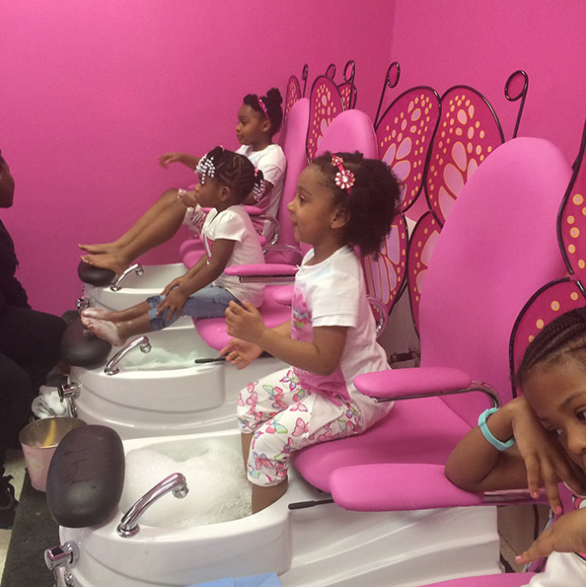 We will soak, file, buff and polish fingers and toes with designs to finish up your sweet experience (no clipping or cuticle treatments available, services are for entertainment purposes only). Enjoy a sweet & sour treat for your hands complete with a hand soak and massage, whip cream lotion and hand painted or sprinkle designs! Enjoy a sweet & sour treat for your feet with a foot soak and lemonade scrub, foot massage, whip cream lotion and hand painted or sprinkle designs! 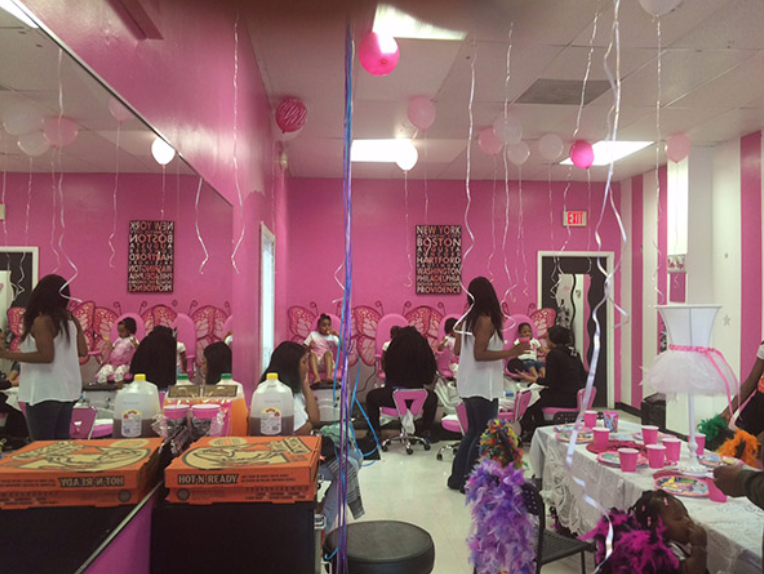 Mani & Pedi served with a lemonade flavored sugar scrub and foot massage, whip cream lotion and hand painted or sprinkle designs to complete your treat! Enjoy a sweet & sour mani & pedi with a tasty cupcake bath bomb foot soak, along with a lemonade sugar scrub and foot massage, whip cream lotion and hand painted or sprinkle designs. If you think our mani’s and pedi’s sound refreshing, wait until you try our deliciously cool facial. Our Strawberry Lemonade facials will have relaxed chilled! 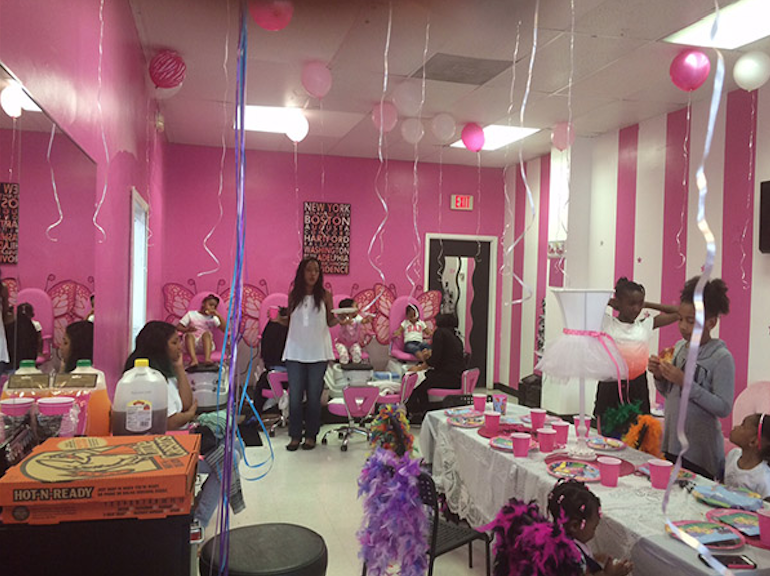 B.R.A.T Salon 4 Kids, LLC parties are 2 hour celebrations held in our spa! Mani & Pedi includes lemonade sugar scrub and foot massage, hand massage, whip cream lotion, hand painted or sprinkle designs and cupcake pedi includes cupcake bath bomb foot soak. (Please read Terms & Conditions below before booking your party).